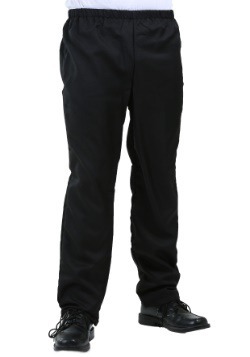 The mark of any great celebration is costumes! 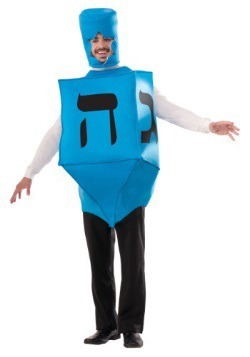 From the beloved dreidel costumes to clever Hanukkah sweaters, we carry a whole selection of costumes inspired by Jewish heritage. 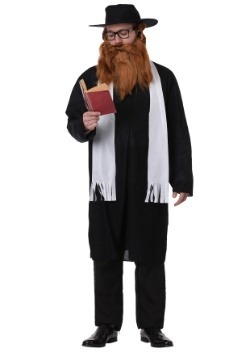 We even have costumes that are perfect for Purim. 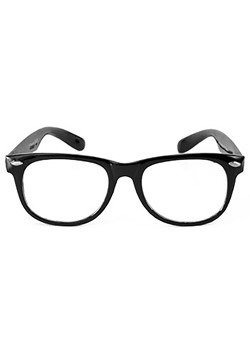 Just check out our selection. The story of Purim is an oldie, but a goodie! In a nutshell, the tale follows a young Jewish girl named Esther, who, through her courageous deed, was able to save many lives of her people. 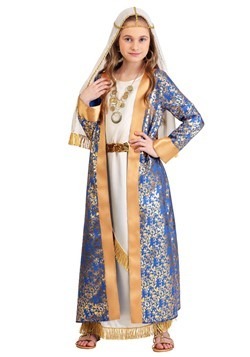 You see, King Ahasuerus decided that his wife, Vashti, should exhibit her beauty to his guests during a royal feast. She refuses and he was none too happy about it! He relieves her of her position as his wife and then decides that it's time to find a new wife. He then searches the kingdom to find his new bride and eventually decides to marry a young girl named, Esther. Unbeknownst to everyone, she was Jewish. Not long after, the king's viceroy, Haman, decrees that all Jewish people should be eliminated from the kingdom... for petty reasons, no less. Haman even wants to kill, Mordechai, Esther's cousin who had helped thwart an attempt on the king's life. Faced with such a tragedy, Esther approaches the king and reveals her secret to him. Angered by Haman's decree and his treatment of Mordecai, the king punishes Haman and makes a new decree, which helps save the lives of many Jewish people! 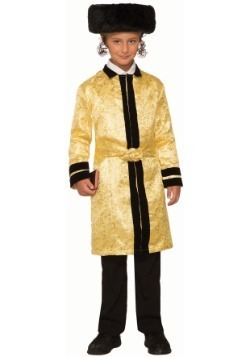 Mordechai even gets to wear royal garments! Of course, the full story is a little more interesting, so if you have the chance, be sure to read up! 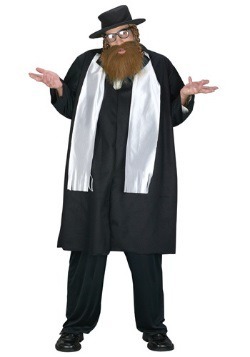 You might be wondering why we're talking so much about the story of Purim, but it's a great example of why costumes, is important! 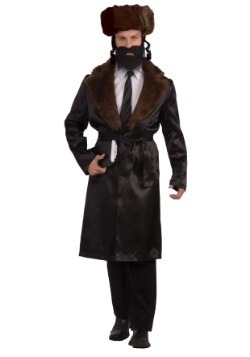 Purim itself was a miracle disguised in rather normal events. 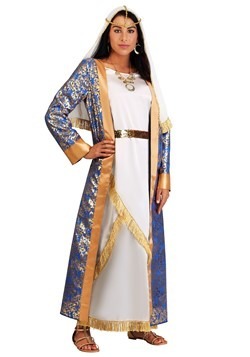 The costume wearing is also symbolic of Mordechai wearing royal garments through the kingdom. 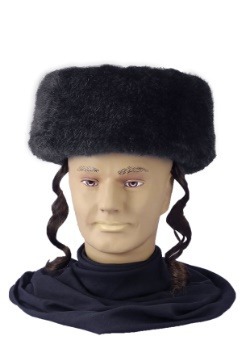 That's not the only time of the year when a Jewish costume is a great way to celebrate your heritage. Hanukkah is another time of year to be proud of Jewish heritage. It's a time to celebrate the reestablishment of the Temple of Jerusalem! 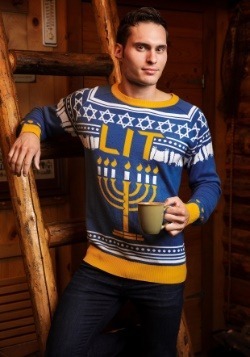 Of course, there will be presents and the lighting of the menorah, but what about an outfit to go along with the celebration? 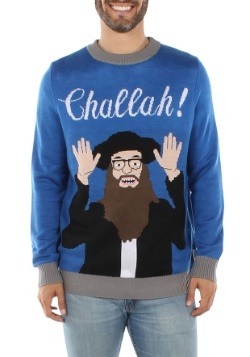 We carry a selection of Hanukkah themed costumes, as well as comfy holiday sweaters themed aftef the menorah. 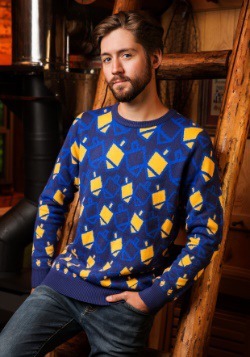 You can also find costumes and cozy winter sweaters based on the dreidel! 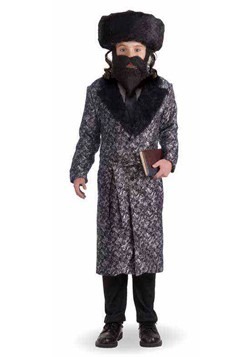 Whether you plan on dressing up for Purim, or you want to add a fun new style to your Hanukkah attire, be sure to check out all of our Jewish costumes. It's time to share some of those great traditions with the world!